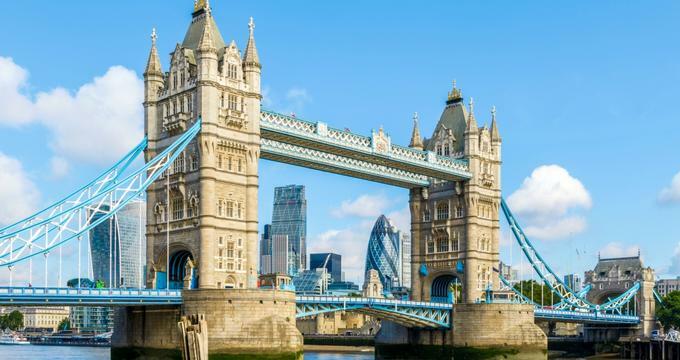 Every traveler's favorite list to England contains Stonehenge, the prehistoric circle of standing stones, and Changing of the Guard ceremony at Buckingham Palace, but there is much more to this country in the British Isles. Famous for its natural hot springs and stone Georgian architecture, the city of Bath features the only original Roman-era bath - the Great Bath - in England. Cambridge, known worldwide for its prestigious university, Canterbury, inspiration for Chaucer's The Canterbury Tales, and Liverpool, birthplace of the famed sixties group The Beatles, also top many travelers' must-see lists. Bath is a designated UNESCO World Heritage Site, for which the Roman baths are largely responsible. It is the oldest Roman remains and only natural mineral springs spa in the UK, making it wildly popular with visitors. 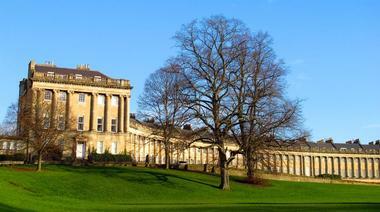 Georgian architecture from the 18th century is best on display at the Royal Crescent, a crescent-shaped row of thirty regal houses. Visitors can tour the inside of No. 1 Royal Crescent. The top of Bath Abbey offers gorgeous views of the city, but those unable to make the 212 steps can take the Bath Skyline Walk, which provides marvelous views too. Visitors will also want to make the 1-hour drive from Bath to Stonehenge. 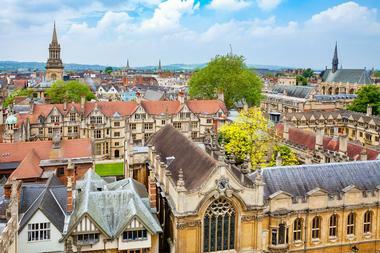 Oxford, known as the City of Dreaming Spires, is a distinguished city, well known throughout the world for its place in history and its legendary university. This 9th-century town has been home to scholars and royalty for over 800 years, serving the world today as a bustling cosmopolitan city with an ancient history begging to be explored. Some of Oxford's more prominent historical attractions are the Radcliffe Camera, Christ Church, Magdalen College, and All Souls College. Fencing, football, cricket, boating, cycling, and archery are a few sporting and leisure activities here. The Weston Library, Port Meadow, and The Bear Inn - Oxford's oldest pub - are a few additional highlights of the city. Stratford-upon-Avon is an 800-year-old market town with exceptionally preserved historical sites that William Shakespeare himself would be familiar with as well as a thriving community riddled with various leisure activities and attractions. The best way to navigate this city is by the streets, each one has a distinct feel and provides its own unique attraction. 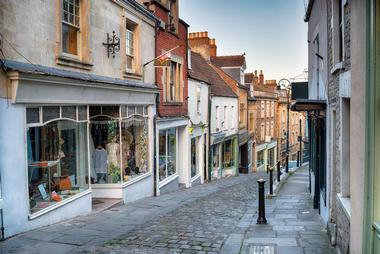 Henley Street is the most prominent as it features Shakespeare's birthplace, the Mad Museum, and Go Cotswolds, which offers tours of the area's off-the-beaten-path villages and unique towns. Wood Street is filled with independent shops selling artisanal wares, High Street features Old World architecture, and Rother Street boasts many of the cultural and heritage attractions, such as the Stratford Artshouse. Falmouth is a charming small coastal town in Cornwall, in southwest England. Falmouth is best known for its beautiful beaches such as Gyllyngvase and Swanpool and a natural harbor on the Fal Estuary. While the town’s past has been shaped by its deep connection to the sea, today’s Falmouth is famous for its rich art scene, with numerous art galleries, venues showing independent films as well as live bands. Surrounded by the sea, Falmouth is a popular tourist destination for families who enjoy boat trips, watersports, walks along the beach, and outstanding natural beauty. The National Maritime Museum Cornwall is a great place to learn about the town’s fascinating past. Pendennis Castle, located on Pendennis Point, is a 16th century fortress built by Henry VIII. 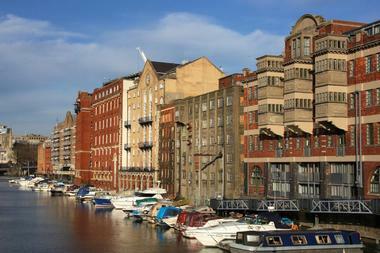 Bristol is a walkable city in the hills of South West England. Environmentally conscious visitors will appreciate the city's European Green Capital status, earned from its sustainable lifestyle approach, including its award-winning cycle tracks. Travelers will love the maritime history of Bristol, brought to life on the docks with Brunel's SS Great Britain and the Matthew. Harbourside and Millennium Square show the city's modern side. The 1864 Clifton Suspension Bridge spanning the Avon Gorge is a great place for an evening stroll. The Lord Mayor's Chapel, Bristol Cathedral, and the ruins of a Norman castle are among more than a dozen historical places to see. 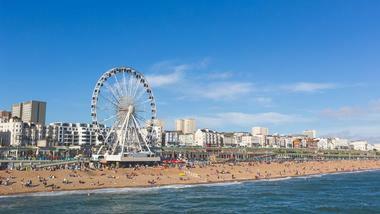 Brighton is a seaside resort city on England's southern coast that is dubbed "the happiest place in the UK to live," "the hippest city in the UK," and "the unofficial gay capital of the UK" - all suggestions that Brighton and Hove is a fun and friendly travel destination. Visitors will want to spend time on the Victorian Brighton Pier, aka Palace Pier, where they'll experience a festive fun time for the whole family. The regal splendor of the Royal Pavilion, the thrill of the world's tallest moving observation tower at British Airways i360, and the beauty of pebbly Brighton Beach are among dozens of must-see places in Brighton. 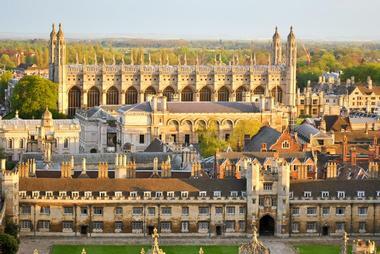 Cambridge is probably most well-known for prestigious Cambridge University, alma mater to such great minds as Charles Darwin and Stephen Hawking. King's University College, Trinity College, St. John's College, and Cambridge University, among others, back up to the Cam River in an area called "The Backs," which can be admired by taking a traditional punt boat ride along the Cam. Visitors also won't want to miss King's Chapel, Bridge of Sighs, Mathematical Bridge, St. John's Great Gate, and numerous university museums. At the end of their visit, travelers may want to try "champing" (church camping), in the Church of St. Cyriac and St. Julitta in the Cambridgeshire countryside. 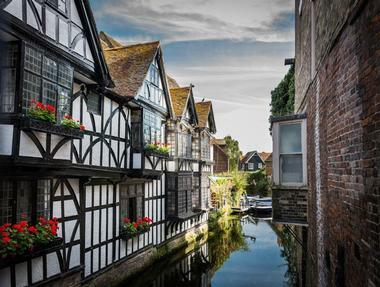 Canterbury, in southeast England, was the destination for pilgrimages in the Middle Ages and the inspiration for Chaucer's The Canterbury Tales. Visitors today can visit the same site, the Shrine of St. Thomas Beckett in Canterbury Cathedral. The cathedral, St. Augustine's Abbey, and St. Martin's Church are UNESCO World Heritage Sites that top must-see lists in Canterbury. Another must-see attraction is a recreation of The Canterbury Tales in St. Margaret's Church. Canterbury Heritage Museum, Westgate Towers Museum and Viewpoint, and a Canterbury punting tour are also essential to any visit to the city. Travelers to Canterbury will also want to explore Whitstable and Herne Bay. 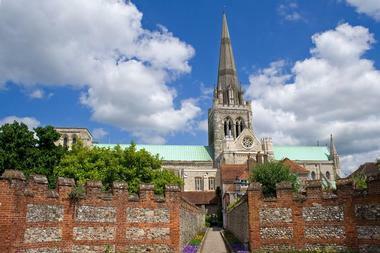 Chichester is located in West Sussex in southeast England. Chichester Cathedral, famous for its art, is a good place to begin exploring. Arundel Castle, home of the 18th Duke of Norfolk, is open to tours and hosts an annual Jousting and Medieval Tournament Week, among other events. The city is rich with arts, culture, history, heritage, gardens, and science. Maritime heritage is on display at Boathouse 6. Harbour Park is a harborside amusement park, while the trendy Littlehampton waterfront features restaurants, tea rooms, pubs, and a promenade. West Wittering Beach is an expansive Blue Flag beach at the mouth of the Chichester Harbour, great for a day at the beach. Coventry is England's ninth largest city and is situated on the edge of West Midlands. This interesting city is home to historic markets, popular shopping areas, and medieval castles. Visitors will find the 11th-century legend of Lady Godiva's naked horseback ride through Coventry whimsically played out on a large public clock above the Lady Godiva Newsstand. In the city center, Coventry Cathedral with St. Michael's Spire elicits a different response, as it is a significant symbol of peace. 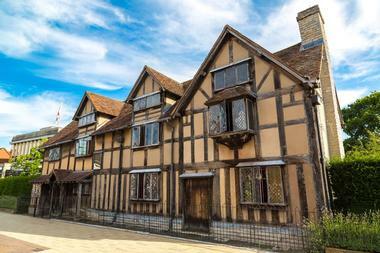 Other local attractions include castles, medieval abbeys, museums and galleries, parks and gardens, and Warwickshire Stratford-upon-Avon tours that include Shakespeare's birthplace. 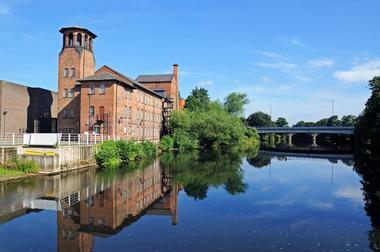 Derby is a quiet city northeast of Birmingham in Derbyshire. Home to one of Europe's best 18th-century painters, Joseph Wright, visitors can view the largest collection of his paintings in the world at the Derby Museum & Art Gallery. Derby's Cathedral Quarter is the city's cultural hub, and Derby Cathedral is its most significant historical building. The cathedral holds the tomb of Bess of Hardwick, the Countess of Shrewsbury. 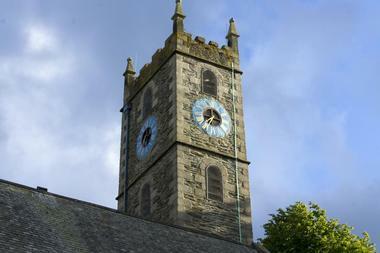 The cathedral's set of ten bells is among the oldest in the world still in use. Travelers will also find bars and restaurants, specialty stores, the Derby QUAD arts center and cinema, and Déda performing arts center in the Cathedral Quarter. Durham is just 3 hours outside London, featuring awe-inspiring scenery, vast award-winning attractions, and world-class events, exhibitions, and festivals. This area of England has city, coastal, and countryside attractions, making it the ideal vacation spot for any type of traveler. 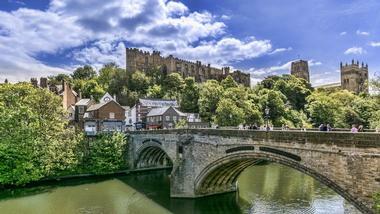 It is most notable for its UNESCO World Heritage Sites, the iconic Durham Castle, and adjacent Durham Cathedral, providing stunning panoramic city views. Durham also features some of the most fascinating cultural attractions such as the Beamish Museum, which is a living museum, and Kynren - an Epic Tale of England, which takes place every summer in Bishop Auckland. 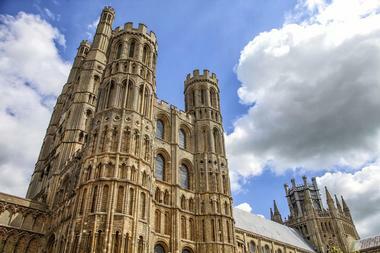 Ely is the second smallest city in England, located within East Cambridgeshire's untouched and unique countryside. It is best known for its natural splendors, rich history, and stunning architecture. One of its most prominent attractions is Ely Cathedral, one of the largest and most beautiful cathedrals in England, with its octagonal shape. It is also home to the national museum of stained glass. Ely has a magnificent riverside area where visitors can shop, dine, and explore art galleries along the River Great Ouse. The small city also features Oliver Cromwell's House, the Babylon Gallery, Ely's Liberty Belle River Cruises, and the Wicken Fen National Nature Reserve, among other iconic attractions. 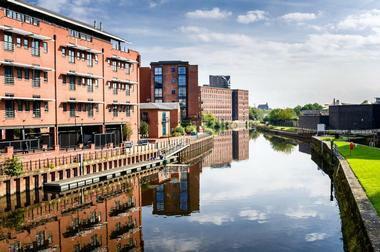 Leeds is a prominent city in the heart of the United Kingdom featuring a vibrant and diverse cultural scene. There are over 15 museums and galleries, four major theatres, an award-winning arena, over 300 bars and restaurants, and the city is host to more than 80 annual festivals and sporting events. Leeds is a shopping mecca, boasting more than 1,000 wonderfully diverse shops perfectly intermingling the high-end luxury of name brands and the quirkiness of stylish boutiques. Visitors will also find that Leeds provides several opportunities for outdoor adventures, including Roundhay Park, one Europe's largest city parks with more than 700 acres of woodland, parkland, lakes, and award-winning gardens. Lincoln is a city in England just two hours outside of London offering a rich history and excellent arts and cultural opportunities. The city is comfortably walkable with several places to dine and shop while enjoying the Lincoln's sights. 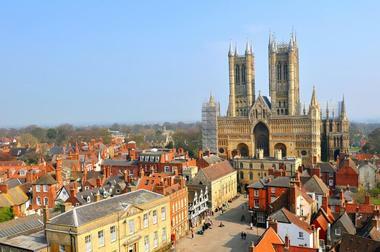 There is no shortage of attractions, tours, and outdoor excursions to choose from, including prominent architectural gems such as Lincoln Castle and Lincoln Cathedral. History buffs will want to stop by The Collection, an award-winning archaeology museum in the city's center boasting interactive exhibitions, guided tours, events, and talks. Antique centers, vintage shops, parks, waterways, and historic houses and gardens are just a few of the additional things to see in Lincoln. Liverpool is the cultural capital of England, a UNESCO World Heritage Site, and the birthplace of The Beatles, so it's no surprise that it's filled with world-class attractions and magnificent outdoor spaces and is rich with sporting history. 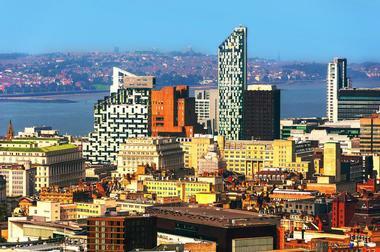 The city has seven national museums and more parks than Paris; these include the World Museum and Sefton Park Palmhouse. Visitors will also find Britain's largest cathedral, Liverpool Cathedral, which offers Tower Tours that reach almost 328 feet high, providing picturesque views of the city. Other highlights include Port Sunlight Museum, Knowsley Safari, Mersey Tunnel Tours, Albert Dock, Mersey Ferries, and Anfield Stadium, home of the Liverpool Football Club. Manchester is recognized as the birthplace of the Industrial Revolution and is one of the most charismatic and cosmopolitan cities in the United Kingdom. The city's unique character welcomes visitors to explore its culture, history, architecture, and spirit through its premier interactive attractions, events, and tour opportunities. 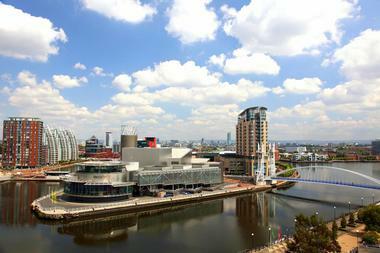 An excellent way to get the inside scoop of the city is with a walking tour of Manchester. On the tour, guests will learn about the city's landmarks like the town hall and hidden gems like Albert Hall, a chapel that remained undiscovered for over 40 years. Additional impressive attractions are the John Rylands Library, Barton Arcade, and St Anne's Church. 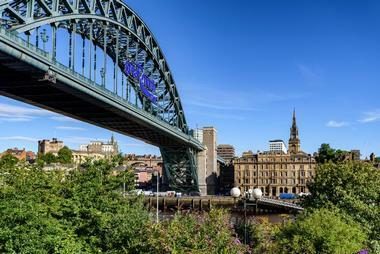 Newcastle, a city on the River Tyne's north bank, and Gateshead, a town on the River Tyne's south bank, create the region of Newcastle-Gateshead. Seven bridges unite this extremely vibrant and dynamic destination, which offers a wide-array of activities. These include renowned architecture, exceptional shopping opportunities, award-wining dining, and world-class cultural and heritage attractions. Newcastle upon the Tyne is most well-known for its energetic nightlife and its notorious Geordie spirit, making this an ideal city for young adults who like to party. Daytime activities are also aplenty here, with attractions like the Newcastle Castle, Vallum Farm, Namco Funscape, Alnwick Garden, River Escapes, and Kielder Water & Forest Park. Nottingham is one of the most diverse cities in England featuring premier sporting events, amazing live performances, cutting edge art, exquisite shopping, and a lively nightlife scene. Visitors will enjoy activities that describe the city's rich history such as tales of Robin Hood, stories of castles that were ripped apart by civil war, and anecdotes about the city built around Nottingham lace. There is a little something for everyone in Nottingham, including outdoor adventures, such as exploring the enchanting Sherwood Forest or traversing through the fascinating network of caves. Museums, farm parks, galleries, breweries, casinos, theme parks, and tours can also be found in Nottingham. Truro is the United Kingdom's most southern city and is known for its vibrant shopping center, impressive architecture, and cultural attractions in the heart of Cornwall. 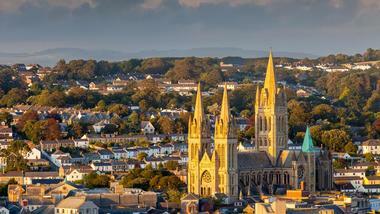 Its most prominent fixture is Truro Cathedral, featuring remarkable Gothic towers that dominate the city's skyline. Truro offers a little something for everyone, such as kid and family-friendly activities, the Hendra Skate Park, the Truro Story & Play Café, and the Boscawen Park. The best cultural and arts destinations are Burrell Theatre, Old Bakery Studios, The Atrium Gallery, and the Royal Cornwall Museum. Outdoor attractions include the National Trust Trelissick, Burncoose Gardens, and Enys Garden - the oldest in Cornwell. Just an hour southwest of London is the city of Winchester. The former ancient capital and seat of King Alfred the Great is steeped in rich history and culture thanks to its medieval roots. 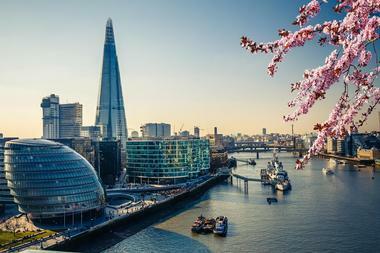 It is both a vibrant city and a calm countryside, providing world-class attractions, magnificent architecture, and award-winning restaurants and pubs. 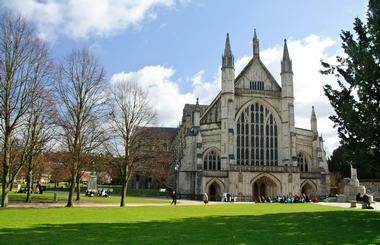 Winchester is also known for its various independent shops and array of walking tours of the city. These include sunset strolls through Winchester, exploring the Alresford Millennium and Alre Valley trails, and following in Keats footsteps. The Jane Austen's House Museum, Meon Valley Churches Trail, and the Gurkha Museum are a few other notable attractions. 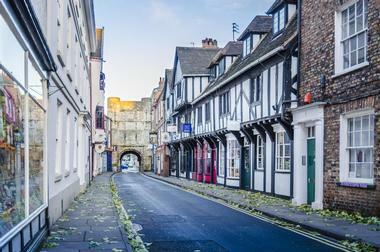 York is a flourishing city that is just 2 hours from London by train. It has a rich ancient history, romantic atmosphere, and an eclectic range of fun activities. It is most notable for its magnificent architecture, charming cobbled streets, and soaring York Minster. Within this compact walled city, visitors will find hundreds of museums, shops, historic buildings, restaurants, bars, tours, and attractions. York has a vibrant café culture, and features talented and unique street entertainers in addition to beautiful eateries lining the river. Clifford's Tower, the Castle Museum, the York Dungeon, YorkBoat, JORVIK Viking Centre, and York's Chocolate Story are among some of its most prominent attractions. The Peak District & Derbyshire is a place of contrasting natural beauty featuring moors and dales, springs, rivers, and caverns, with the Peak District National Park acting as its center. It is most well known for its bustling market towns, magnificent views, gorgeous villages, historic houses, and traditional events such as the iconic Derbyshire practice of Well Dressing. Its diverse landscape makes it one of the best places in Britain to go walking. The Peak District also includes famous attractions like the UNESCO World Heritage Site of Arkwright's Mill at Cromford, the Chestnut Centre Otter and Owl Wildlife Park, Haddon Hall, and heritage railways and trams like Peak Rail. 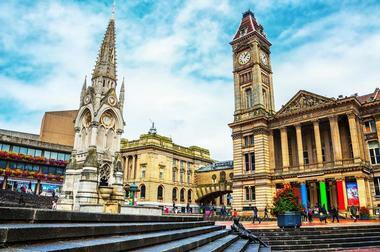 Birmingham, once a powerhouse of the Industrial Revolution, is now Britain's second-largest city, revitalized and buzzing with energy. One family-friendly attraction that's a sure hit with chocolate lovers is Cadbury World, with its tastings, displays, and rides. The canals stretching out from Sherborne Wharf are a fun way to see the city, and are lined with trendy new restaurants and craft brewpubs. 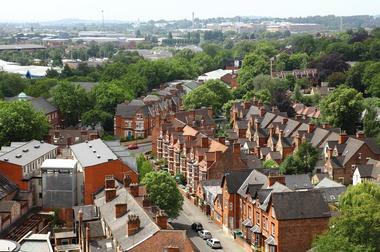 Visitors won't want to miss the historic Jewellery Quarter with over 100 shops, plus art galleries and antique stores. Thinktank, a kid-friendly science museum, and the Birmingham Museum and Art Gallery should also make the list of things to do. The Yorkshire Dales date back to the Victorian Era at the end of the 19th century, offering beautiful landscapes, rich history, cultural delights, intriguing attractions, and annual festivals and events. A nature lover's dream, visitors are welcome to explore the great outdoors, with its dales, drystone walls, hay meadows, field barns, heather moorland, and distinctive hills. The Dales are also known for notable natural landmarks like the Three Peaks, and historic attractions like the Settle to Carlisle Railway, which snakes through the national park utilizing viaducts and tunnels. There are also several tours and skill learning activities offered in the Dales, such as painting, pottery, woodworking, making cheese, and butchery.